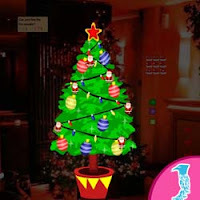 Escape Funlove Christmas is the new point and click escape game from ajazgames. Christmas is an annual festival enjoyed by all over the world, its a beautiful day when families meet together and have great time praying to the God and wellbeing of their family members, enjoy escaping this funlove Christmas game by finding colors of stars. All the best, wish you good luck, have fun play playing escape games, free escape games, new escape games, best escape games, online escape games and point and click escape games.